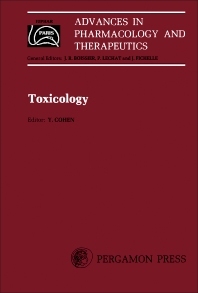 Advances in Pharmacology and Therapeutics, Volume 9: Toxicology is a collection of papers that tackles advances in toxicological research in context of pharmacology. The text first covers reactive metabolites and their implications for toxicology. Next, the selection deals with the experimental and clinical correlations of behavioral toxicology. The text also tackles toxicology and pharmacology of topical application. The book will be of great use to researchers and practitioners of health related disciplines.